A new movement is sweeping our nation. If you have children in college, at least it appears to be! With my husband and I having six kids between us (currently ranging in ages from 19 to 31), we’ve had plenty of experience with having kids in college—and sending out those lovingly crafted packages that help far-away students feel at home. The funny thing is, neither my husband nor I remember receiving any care packages when we were at university. Either times have changed, or we had horribly bad parents. One thing is clear. When I attended college, the institution didn’t subject my parents to a barrage of correspondence urging them to purchase pre-fab packages made by the university itself. These all come at a cost of course and are most especially promoted during exam season. I’ve never purchased one, but can see how they might be a boon to busy parents. 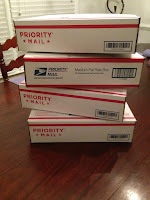 For my husband’s and my part, some of the joy in sending a care package comes in creating it. At times, we’ve sent themed packages, centering on a holiday when the kids wouldn’t be home, like Valentine’s Day or Halloween. 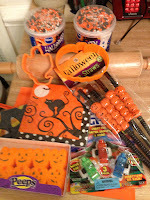 The package might include some homemade treats along with a few nifty gifties. The sillier, the better, and the kids always enjoyed receiving the unexpected surprises: ranging from pumpkin straws to blinking light rings, which a few of them wore to parties. It really is the thought that counts, even when your child is left wondering, What were they thinking? On one occasion our youngest boy asked me this when he discovered an unexplained stack of mini post-it notes in his box. Generally, everything in the package carries a significance. What was the meaning of this? The truth was there was a tiny corner of the box—among the Tupperware containers and little presents—that needed filling. I glanced around my office and…voila! The stack of mini post-its was the perfect fit. Besides, I reasoned, son could use them to bookmark certain pages during his…ah-hem…arduous studies. Just this week, I sent out another care package to this particular child, who is our baby, hence the caboose in a long train of siblings who’ve gone through schools: all of them out of state! Much to our delight (and after some gentle nudging), Gordon opted to study at the University of Virginia, which thrills us on two counts. One, he is just two hours away, and two, we pay in-state tuition. This also means the United Parcel Service can get a package to him by ground service overnight. What could be more ideal for shipping a box of homemade apple cake, brownies and peanut butter cookies? I mailed it the day before yesterday, and received a happy text from Gordon that he and his roommates were already enjoying the goodies last night! Here is an easy recipe for one of the treats I included. Blend everything together then form small 1 inch balls and press flat with thumb on cookie sheets. Use fork to form cross-hatch pattern in each cookie before baking at 350 degrees in a preheated oven. Bake for 10-12 minutes or until golden brown around the edges. Our oven is quirky, so when I’m baking two cookie sheets together, it takes 18 minutes for both batches to be done. Remove from oven and lightly press a Hershey’s Kiss into the center of each cookie. For serious chocolate lovers, use Hershey’s Special Dark Kisses. Let set on cookie sheet for five minutes then remove to wire rack until completely cooled. Yield 20-24 cookies. 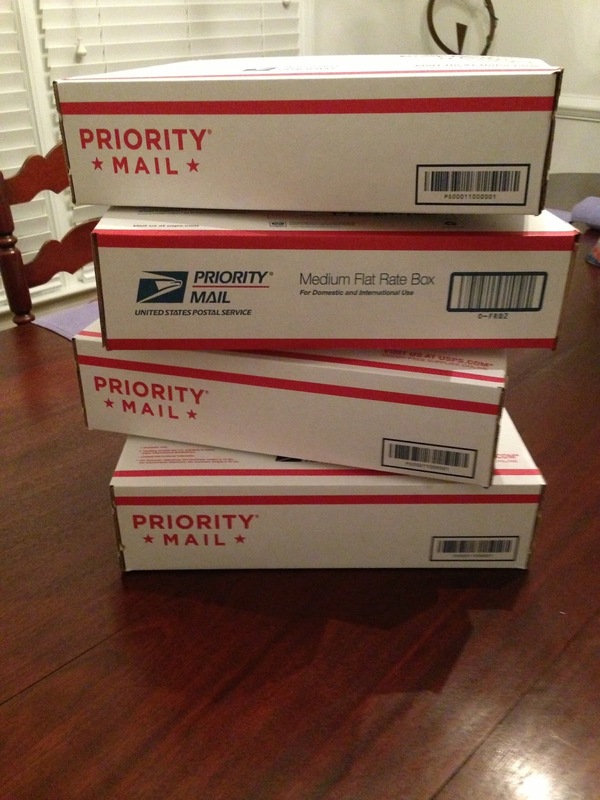 Do you send care packages to your children, or do you remember getting them? Please share what you like to give—or once enjoyed receiving as a student yourself. Gordon has three more years of college left, so we’re looking for ideas! New York Times and USA Today Bestselling Author Ginny Baird writes contemporary romance novels and novellas. 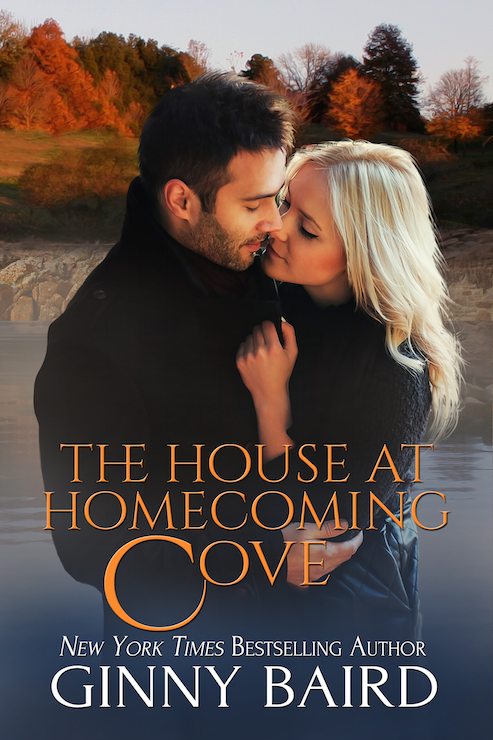 Book 3 in her Romantic Ghost Stories series The House at Homecoming Cove releases on October 15th and is already available for Pre-Order. Find it at Amazon, Barnes & Noble, Kobo and iBooks. Want to keep up with news from Sweet Romance Reads authors? Sign up for the SRR newsletter today. Like chatting about Sweet Romance? Join the authors of Sweet Romance Reads in our cyber Café. Don’t miss our Café Open House October 17th from 12 to 5pm ET. Save the date! I would get packages from my little sister who was in high school. Not elaborate, just a few fun things. One time she sent me M&Ms and all were green. This was a personal joke between us and somehow she managed to open a pack and reseal it without me realizing that's what she'd done. I called because I thought something might be wrong with them since they were all the same color. LOL! Those care packages look like such fun! Both of my girls went locally, so there wasn't any need. How nice for your girls! And for you as well. I'm know you loved having them there, and they probably enjoyed some homemade treats hot from the oven! You are so thoughtful! Those cookies look delicious. I'll have to try the recipe. Thanks, Susan! I hope you like them. What I love about these cookies is that I always have the ingredients on hand, so they're great for last-minute baking. They're also super easy to make!